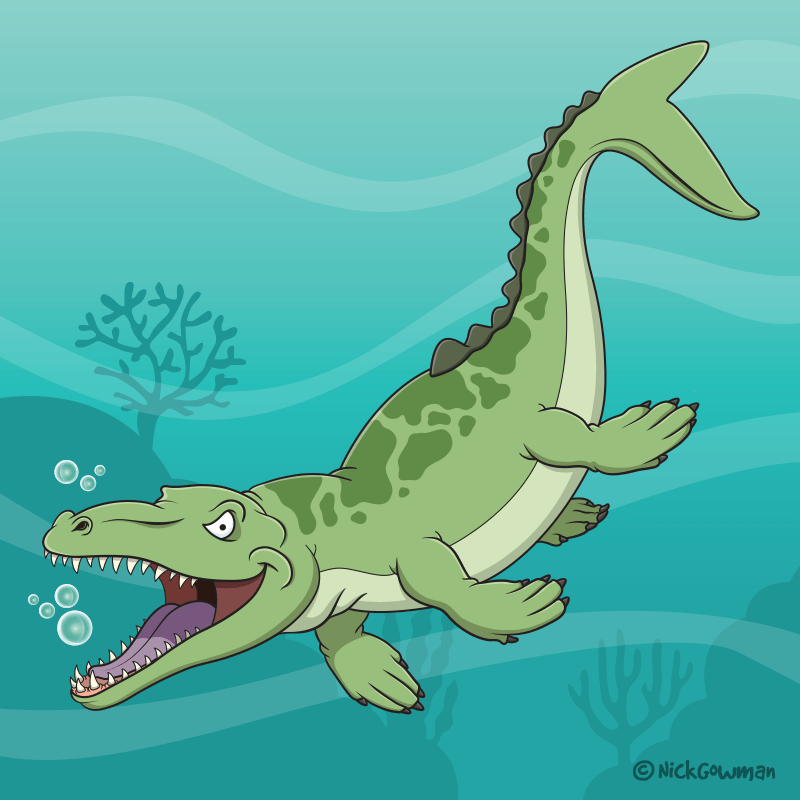 Dakosaurus | My cartoon version of a great Mesozoic sea predator! Dakosaurus was a medium-sized marine predator that lived during the late Jurassic period. Armed with a mouth full of sharp teeth, its name basically translates as “Biter Lizard”. This prehistoric beastie was created firstly as a pencil sketch. The next step was to fully digitise the outlines, followed by a nice bright green. I then topped him off with a darker green pattern on his back and a few other shades and highlights. I’ve placed him on a marine-themed background to really make him leap out of the page! If you like this prehistoric critter, be sure to take a look at the other dinosaurs in my portfolio!